After a year or two of that, I decided that I was missing out on some really good-sounding stuff because I was basically ignoring many works just because they'd been going on for substantially longer. It seemed pretty limiting to read webcomics if I only kept up with new ones, so I went to work going through the archives of some of the longer stories that sounded pretty good. That brought with it some challenges. Mainly, the catch-up time I needed to devote to a work could sometimes be substantial. When you've got stories that are well into the hundreds, if not thousands of pages range, you're looking at many hours investing your time in front of a computer screen. Keep in mind that a page load, even on a fast connection, isn't as quick as a physical page turn. Catching up on a webcomic just took more time. When I started my latest MTV Geek column on webcomics, I realized that I needed to be reading a lot more comics than I was. So I made an even more active point for seeking out works. But what I would do would pull in their RSS feed and skim back to what looked like a decent jumping-on point. A chapter break perhaps, or return after an extended hiatus, or whatever. 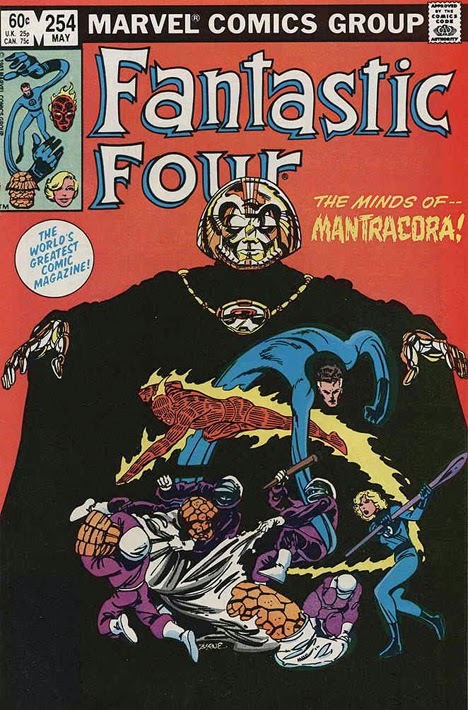 More recently, I had a recollection of when I started reading the Fantastic Four back in the 1980s. My first issue was #254. There were 253 issues that had come before. And the broader story creator John Byrne was telling was one of exploring the Negative Zone. A story he started in #251. It turns out that #254 was getting towards the end of that storyline, in fact. What really got me collecting comics was smack dab in the middle of a story arc that had decades of history leading up to it. So why can't I do that with webcomics? My current method of reading new webcomics is this. Start with whatever's current, and hope I'll figure it out as I go along. I'll pull in the RSS into my feed reader and the first thing I'll do is hit the "Mark All As Read" button. The first installment I read is whatever the next update that happens to show up. Now, that's largely a methodology built out of necessity; I don't have nearly the time to wade through the archives of the hundreds of webcomics I'm reading now. (I think I've added another 40-50 titles since I posted this list last month.) It's early enough in the process that I don't how well all these various creators will be able to get me, as a new reader, up to speed and/or whether or not I'm savvy enough to catch up, but it's interesting to me that it's taken me several decades to come back around to the onboarding process I stumbled into originally.